A new training course is being launched at South West Durham Training (SWDT) designed for people looking for a career in engineering and advanced manufacturing. The full-time Level 2 Performing Engineering Operations (Electrical and Mechanical) will provide students with practical skills and knowledge of electrical wiring and testing, and mechanical maintenance techniques including fault finding and diagnosis. Students work on electrical panels and mechanical equipment, developing the skills needed to complete the wiring, overhauling and testing activities to the required standards, and acquiring electricalmechanical maintenance and hand skills. They attend SWDT’s Aycliffe Business Park training centre three days per week, carrying out practical work in its fully equipped workshops. Assessment is through written portfolios and online and practical tests. The Level 2 PEO courses provide opportunities for employment in engineering industries including positions like engineering technician and semi-skilled operator, which can be combined with a Level 3 Advanced Apprenticeship. 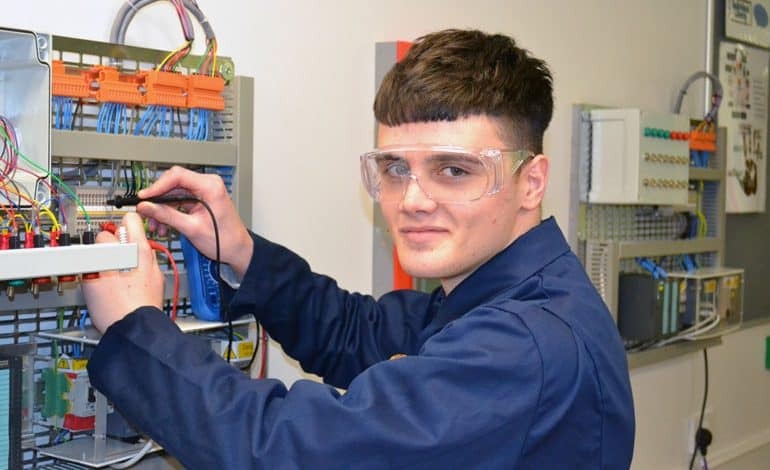 This is exactly what has happened to Charlie Bellamy, 17, who has just secured an apprenticeship with Newton Aycliffe security systems supplier Cam-Tec Systems after completing his Level 2 PEO (Electrical/Mechanical Maintenance) course at SWDT. The former Hurworth School student is now taking his Level 3 Advanced Apprenticeship (maintenance operations engineering technician) at SWDT alongside his new role as an Apprentice Electrical and Security Engineer at Cam-Tec. Andy Johnson, operations director at Cam-Tec Systems Ltd, added: “In recruiting a new electrical engineering apprentice, we were ideally looking for someone who already had some relevant training and skills. There are a variety of progression opportunities for students completing the PEO L2 course, including L3 Diplomas, L3 Advanced Apprenticeships and L4 and L5 HNCs and HNDs, which can lead to full honours degrees. For more information about the new PEO Electrical and Mechanical L2 course or other training opportunities at SWDT email [email protected] or call (01325) 313194. SWDT’s next open evening event is being held from 5pm to 7pm on Thursday February 28 at South West Durham Training, Durham Way South, Aycliffe Business Park, DL5 6AT. 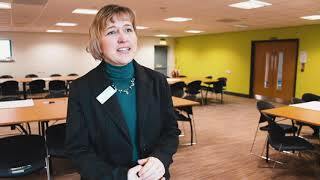 You will have the opportunity to tour the centre’s facilities and speak to specialist tutors and careers staff to find out more about the courses and apprenticeships they offer. The event is open to parents/carers and all family members.